I've got a soft spot for brothers who create cool stuff together. Like the Wright brothers, or the Coen Brothers, or Bubba Ray Dudley and Devon. I mean, these are iconic sibling duos. I also love simple inventions that create an easy solution to a common problem. The fact that somebody was interested enough in trying to make our lives better, no matter how marginal the invention, shows a dedication to human excellence. Where most people settle, these inventors dared to take it a step further. And ever since I started drinking lots of coffee, I noticed that my teeth aren't as white as they used to be, which is pretty annoying. I hate going to the dentist for necessary work on my mouth, so going in for a whitening session isn't exactly something I'm excited about scheduling. So when I found out about this clear coffee created by two Slovakian brothers, my ears perked up. David and Adam Nagy are big coffee lovers, but aren't really all that fond of stains. They searched the market high and low for clear coffee that wouldn't change the pigmentation of their chompers, so they decided to go into business for themselves to rid the world of this very common first world problem. 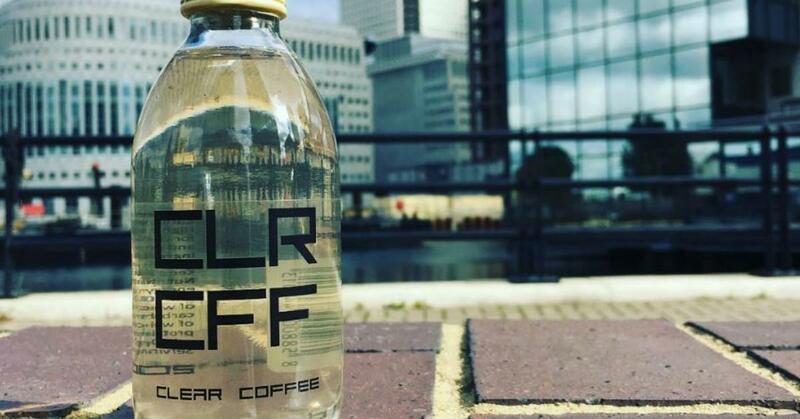 Their product, CLR CFF, is the "first colorless coffee drink" made of pure water and arabic coffee beans. That's it. People who give a damn about their bodies will also be happy to know that artificial sweeteners and flavors are nowhere to be found in the beverage. So, how do they get it clear? The brothers aren't saying, but they assure that harmful chemicals aren't involved in the clarification process. CLR CFF's nutrition information seems to confirm that. Each cup only contains a tenth of a gram of fat and the listed ingredients are: "water, fresh coffee, caffeine." If you're wondering how it tastes, The Evening Standard had a sampling and said the flavor was akin to a "potent cold brew." Metro's review was much less kind, comparing CLR CFF's flavor to what it's like when you forget to wash the coffee filter out and add more water "to get the very last dregs of flavor out of the wet beans" and then drink that. Not the most delicious of descriptions. Do you think CLR CFF could pack all the coffee flavor you love without the stains? Or do you think it's some new-wave hipster BS that'll soon be forgotten, like black water? A five-pack will cost you $18.87, just under $4 a bottle. If you wanna try it out, follow the link here.